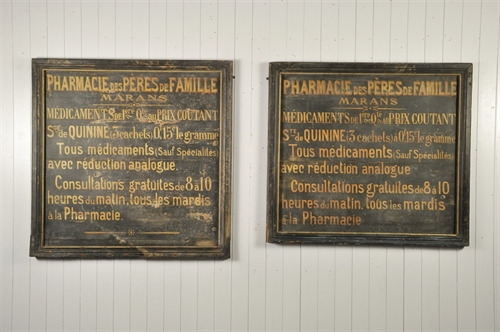 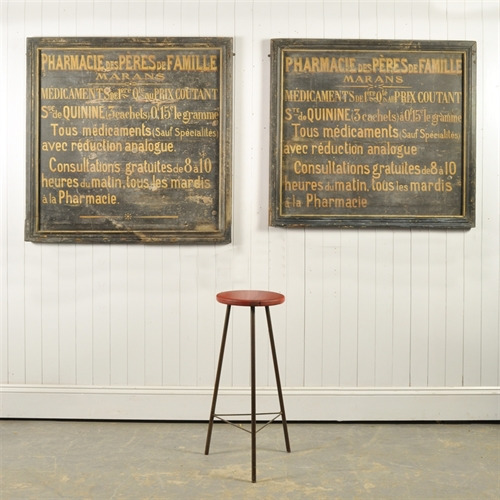 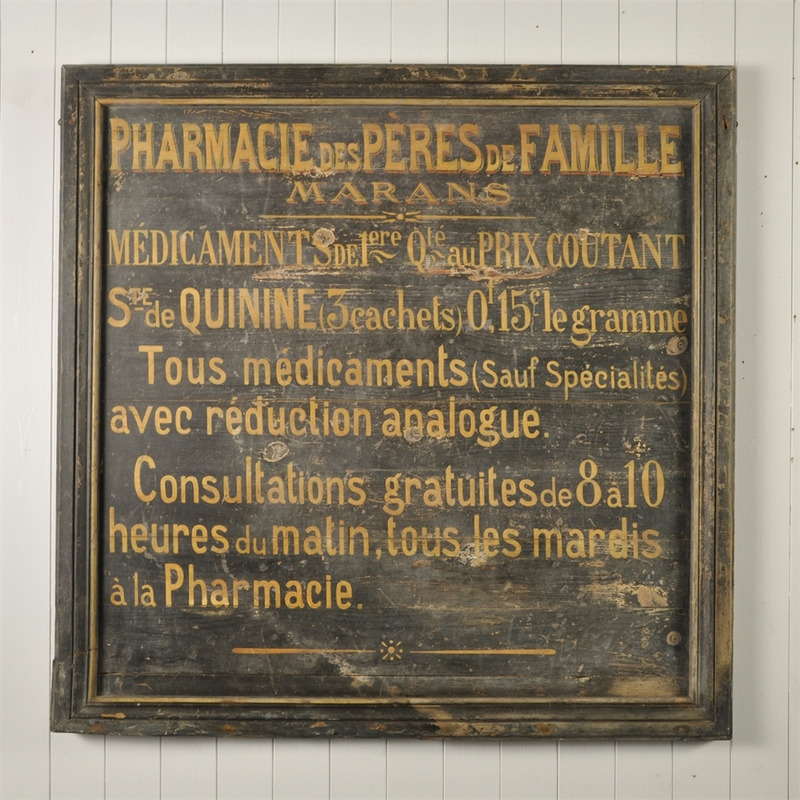 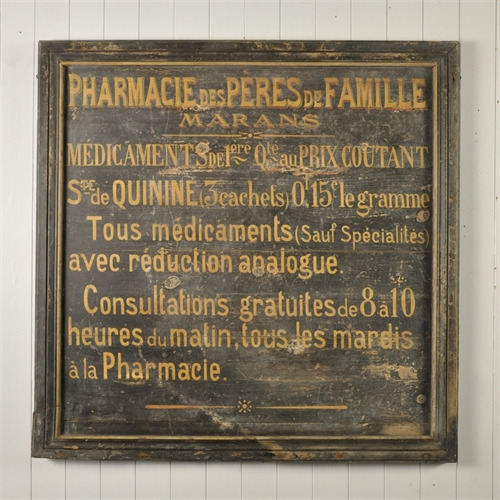 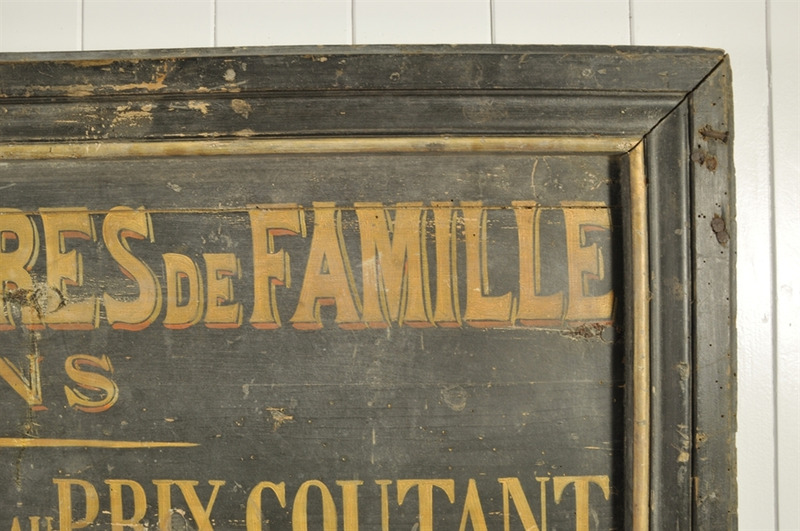 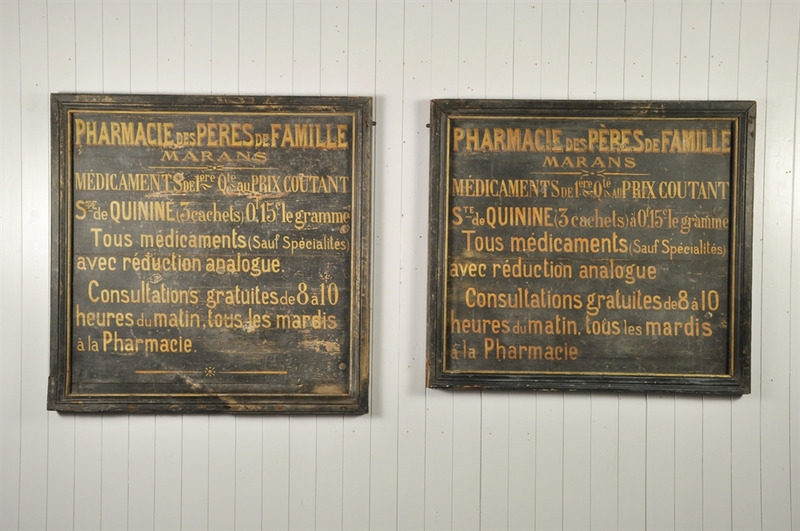 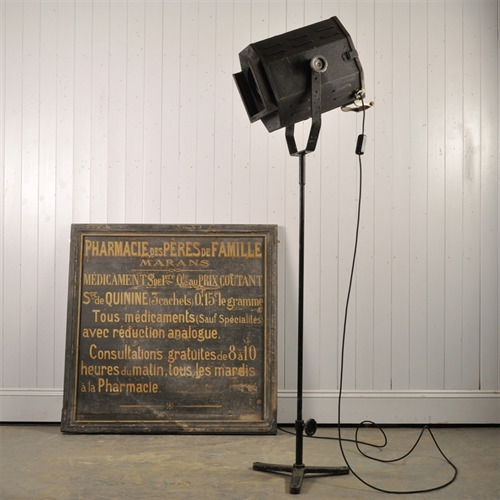 These beautiful hand painted signs originated from a pharmacy in Marans France which is near La Rochelle. 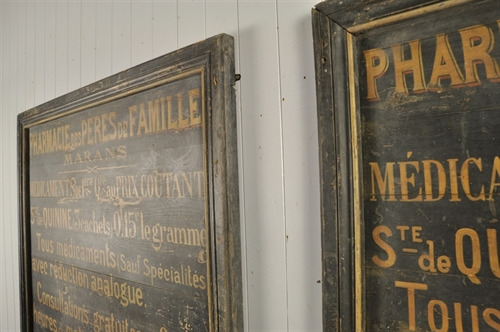 Circa 1880 these have wonderful natural distressing and wear to them. We could have waxed them which would have considerably darkened them but decided they look excellent as they are. These have been restored along the bottom edge. 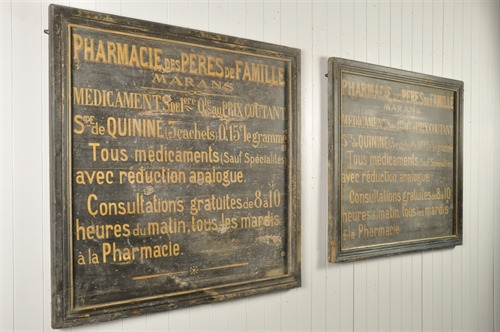 The larger sign has had its bottom moulding repaired and the smaller one has had it removed and then put back on, slightly higher. 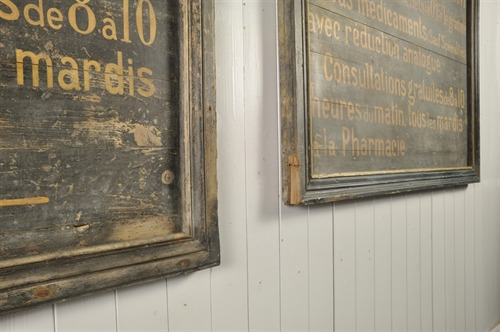 We have added mirror plates for hanging. 104 cm h or 97 cm h x 106 w x 4.5 d.
Just the larger one now available.